Today we all say goodbye to the month of may and with it I also firmly say goodbye to my second year of university. I'm not going to go into details now but for many different reasons the past academic year has pretty much been the hardest nine months of my life, both personally as well as academically and I am completely over the moon to see the back of it! I've never been a very resolutiony kind of person; if I made them I generally forgot about them by the end of January; and I know that if I make a long list of things I want to do and achieve in the next few months the only thing that will happen is half of them won't get done and then I'll focus on the negatives instead of the positives. So I've decided to only have four resolutions, and also only have specific ones that are either fun or include stepping out of my comforting rut I've managed to get myself stuck in over the past year; no aimless 'do more things'. - read 50 books: something that is so achievable for me if I actually sit down and read as well as having so many benefits more me; so even putting an hour before bed each day into a book is something I'm determined to start doing. -be more involved: with this I mean both internet/blogging wise and in my real world. The amount of twitter chats I see happening that I want to join in with but don't is ridiculous; I want to make an actual effort to fling myself away from aimlessly tweeting into the void and into conversations and chats. In my day-to-day life this is pretty much going to involve saying things I think when others are having a conversation instead of just thinking them and staying silent. -internal & external health: by this I mean taking more care of both my body and my mind; I'm very blessed with a high metabolism which at the moment means I can pretty much eat whatever, do next to no exercise and get away with it. But I know that a) that won't last forever and b) actually being healthy is so important for both my mental and physical health. Simply just making a few adjustments to what food I eat and doing a little more than yoga once a month and walking the dog when I'm home is all my goal is with this resolution. -journal more: this is slightly linked to taking care of myself but I have a tendency to worry and stress and keep every single little thought to myself until it explodes out and I end up sat in bed at three in the morning cry/sobbing my way through an almost panic attack. Not Good! I know journalling doesn't solve any of my problems but just spilling out all my thoughts, feelings and emotions does keep it from all building up quite so much; so I just want to journal a little more often than I currently do. do you have any new resolutions or are you continuing on from New Year? let me know how they're going in the comments! I've set myself the goal of reading 50 books too, but I'm doing quite badly at it! Hopefully I can catch up over the summer when I'm free from work! I love the idea of journalling more, perhaps that is something I need to do too. Hello, hello, nice to meet you! 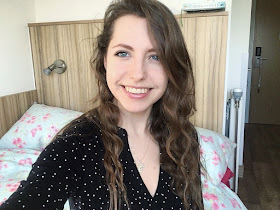 I'm Eloise, a 23 year old Creative Writing MA student. I grew up in a small English village, but am currently living in Edinburgh and falling more in love with the city every day. 'Eloise Writes' is a combination of books, writing and general life. Whether you've stumbled here accidentally or arrived intentionally I hope you enjoy my little corner of the internet! 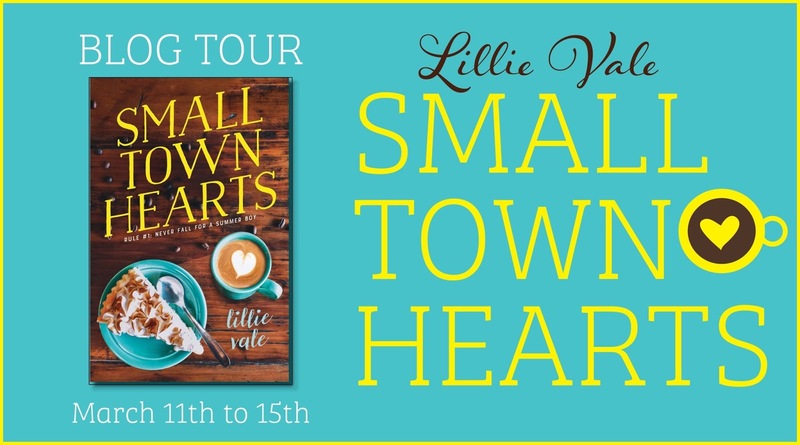 Small Town Hearts Blog Tour: Review! i don't even have a pla..